TESTHEAD: What is the Value of "Passion"? In a recent article on Larry Winget's blog, he starts with something that I found to be counter-intuitive and, well, downright heresy. But as I started to think about it, and as I read along with the comments that followed (quite a few of various stripes, I might add :) ), I decided to reflect on this a bit more and throw this out for my fellow testers to consider. Larry states in the title of his piece that "Passion Has No Value". If we take this at face value, lots of us could say that it's a false statement, but if we read more and think deeper, he's making a point that our emotional state about something ultimately doesn't mean anything "to our customers". It's the results that matter, and whether or not we are "passionate" about something means nothing unless we can channel that passion into real and actual results. This got me to thinking. I often use the word "passion" when I describe testing. I also use it for many other things I am involved in in my life. Am I using the wrong word? Maybe. As Larry points out, the dictionary defines passion as "a strong and barely controllable emotion". There are other definitions, too, but for the sake of the discussion, let's go with that one. We're inundated with the advice to "find our passion" or "follow our passion" as if it's a guarantee of success if we do that. It may be a wonderful motivator, but ultimately, we still have to do the work that will make us exemplars of our goals. I can say that I'm passionate about testing, but does that by itself really mean anything to you? 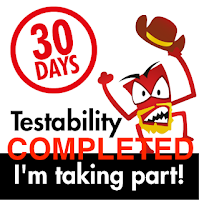 It may tell you that I have an emotional connection to it, that I enjoy it, that I think it is something really cool to champion... but what has it told you about me as to how effective I am as a tester? Nothing, really. That's because passion alone won't carry you very far. Work, and lots of it, applied frequently and often, will help you develop the excellence you need to stand out. Really digging what you do can certainly help you do that, but really digging what you do and not doing what's necessary to be successful will make you a mediocre player in something you really love and are passionate about. It’s not the same thing. There’s no question about it, I am "passionate" about the sport of snowboarding. I love the sport, the history, the struggle for legitimacy, the people I've met over 20 years of riding. I'm passionate about being able to get out and ride and to feel the sensation of the wind and the sun and the snow beneath my feet as I ride. That’s all good, but none of that is going to help me throw a backside 720 if I haven't put in the relentless hours of practice to be proficient enough to do that. For the record, I have never thrown a backside 720, and at my age, I doubt that I ever will. I don't live close enough to the snow and I don't have enough economic backing to get up enough to practice sufficiently to be able to accomplish that goal. That doesn't diminish my love of the sport, or my enjoyment of it, but it means that my passion and drive will only carry me so far. There are lots of other factors that need to be put into play to make the rest reality. Passion may impress some people, but it's just a feeling they get about your topic or expertise based on how you present yourself. It isn't an indicator of your actual expertise or skill. So in this vein, I'm thinking it's probably good to set aside "passion" as a selling point, and substitute words like drive, excellence, progress, attitude, approach and focus. Even with those, though, there's one that trumps them all, and that's practice. I'm a passionate tester... 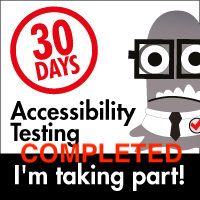 I'm an active and well-practiced tester who can deliver results. Which would you prefer to work with :)? "it means that my passion and drive will only carry me so far"
And more passion would carry you farther. With less passion you wouldn't have come as far as you have. I would posit that passion is a "necessary but not sufficient" condition for success. To me, "follow your passion" is still good advice. Without the passion driving you, you will be unlikely to put in the kind of practice needed to succeed. I would like to be on passionate tester. Well-practiced tester? That only defines where you are and where your limits are. Passion make you move forward and shape the future. If you said that well-practiced tester in 70's. You're testing ability is in 70's. I respect James Bach for his passion he is trying to find ways to to make software testing better. But his statement "test automation cannot replace human" limits current testing ability. That limits AI possibility.